Wristwatch with red cross emblem on dial, tortoiseshell (?) casing, leather strap. 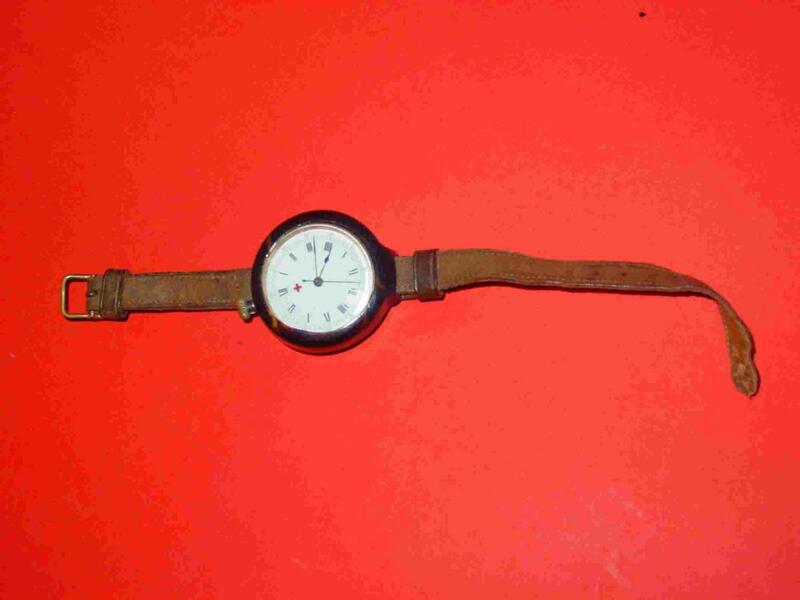 Can be taken out of strap and used as a fob watch. Swiss made.